1. You can use any floral stamp or digital image; die cuts or stencil you like, but remember it needs to be the main feature of the project, not a little add on. 2. When using digital images they must be line art that have been coloured by hand. 4. Please don’t link to postings prior to the date of the challenge. 6. You may enter up to 5 times but each entry must be different, follow the theme of the challenge and new. Please no back linking. 7. You may enter up to 6 other challenges. Please be respectful of this and be aware that your entry will be deleted if it is not following any of our rules. If you don't have a blog feel free to use a Flickr Gallery or other online gallery for your project. Just copy the URL location of your card in your gallery and add it to the Inlinkz. 9. Also please respect copyright, do not use images that have been copied without the manufacturer or designer's consent !! Any entries found to breach copyright will be deleted. Please comment on at least 3 other projects in the challenge. 10. Most important of all is make sure you have fun. Just lovely to see all those wonderful floral cards created by your DT, fabulous inspiration from them. Great idea Aileen! Wishing you all the best and lots of success with the new challenge blog! Wonderful inspiration from the design team, looking forward to playing along!! An array of gorgeous floral arrangements here, in an assortment of styles and fashions! Inspired? Only YES! I just subscribed thru Feedburner .... thank you so much for offering that option!! Your design team's creations are just fabulous and so inspiring! I'm really excited about your flower challenges and offer you my congratulations on such a wonderful challenge theme! So glad you have been able to link up and thank you so much for your wonderful comments. What a great idea!! Super design team!! Can't wait to see more!! congrats ladies and thanks for the beautiful inspiration! 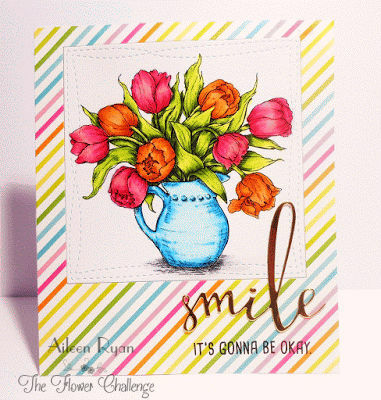 I am a huge fan of Aileen and a lot of the DT...so happy about this challenge! Best of luck! I will be playing along! Fantastic inspiration from the Design Team. Congrats on the new challenge! 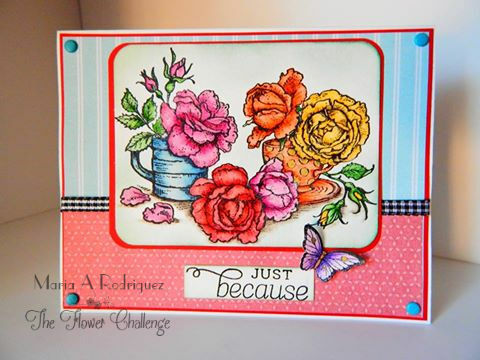 Lovely idea for a challenge, Aileen! Hope to play along! Congratulations on the new challenge blog, may it last long and may you all have loads of fun doing it! Congratulations on starting a new challenge - wish for it to run for years and years!! Gonna join the fun for sure!! Congrats on your new challenge and certain to be a favorite. Everyone loves flowers! Beautiful creations, DT. Congrats on your new challenge! Just found out about it & as a serious flower addict this is a fabulous idea! Thanks for some wonderful inspiration! Awesome theme for your new challenge -- I am sure it will be successful! This is such a great idea for a challenge, considering the number of flower stamps I have. Great challenge theme. I shall return with a card before the deadline. Thanks for the beautiful creations from the design team! Great Challenge, Awesome DTs! Wishing your new challenge all the best, Aileen!!! Followed someone's link to your challenge and I'm going to play along, for sure! I love flowers! What a great bunch of DT samples. Very inspiring! What a Perfect name you have chosen here. 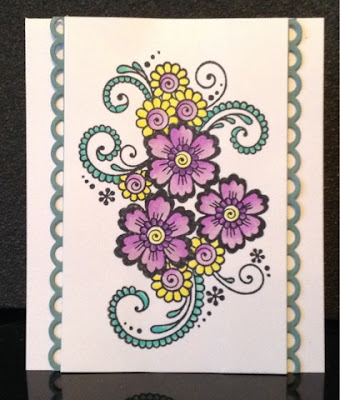 Don't we all have a zillion floral stamps and a great reason to get them inked again. I'm off on holidays but will be joining in on my return. Congratulation to you all. Beautiful creations by the Talented Team. Nice to see familiar faces here. What a great new challenge. I love making cards with flowers and will have to join this one. All the cards by the designers are beautiful. Congratulations on starting this challenge and to the Design Team. Thank you for this new flower challenge! 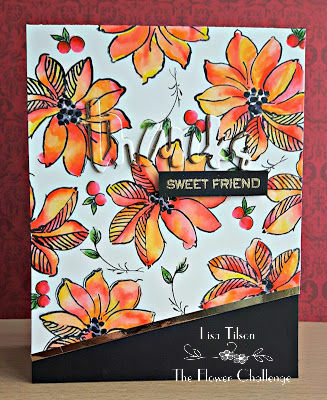 Great inspiration from the design team, all beautiful cards! 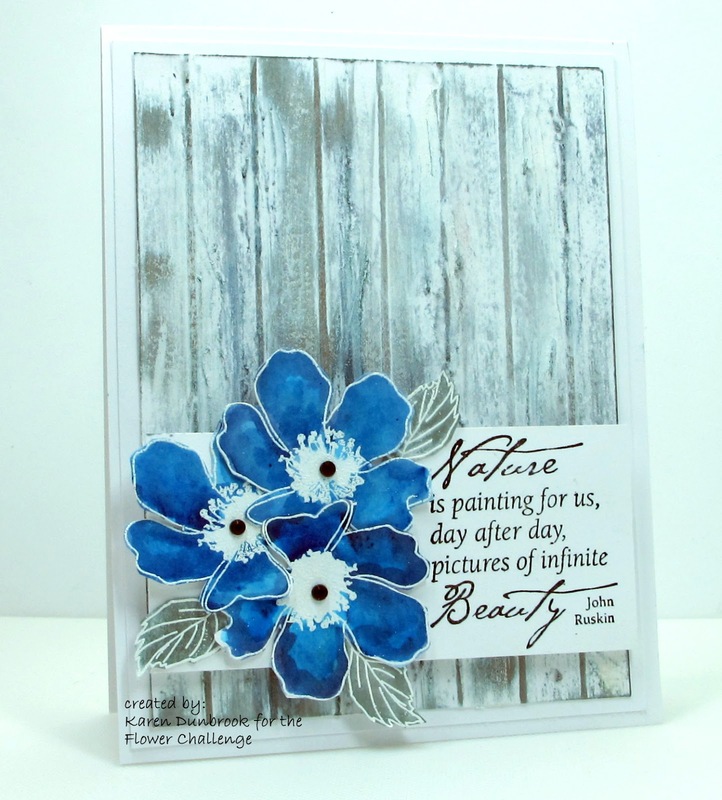 Fabulous challenge for flower loving cardmakers! Love all the beautiful inspirationa from the team! Love all of the designer cards and it is great to find a challenge just for florals. Sorry but I don't have a clue why my card has been hidden. i am not that tec savvy. I have fixed the error Margaret. Not sure why its happening but has happened a few times. 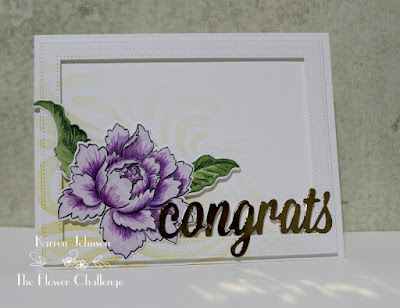 Congratulations on the very first challenge, and what beautiful cards by the DT! 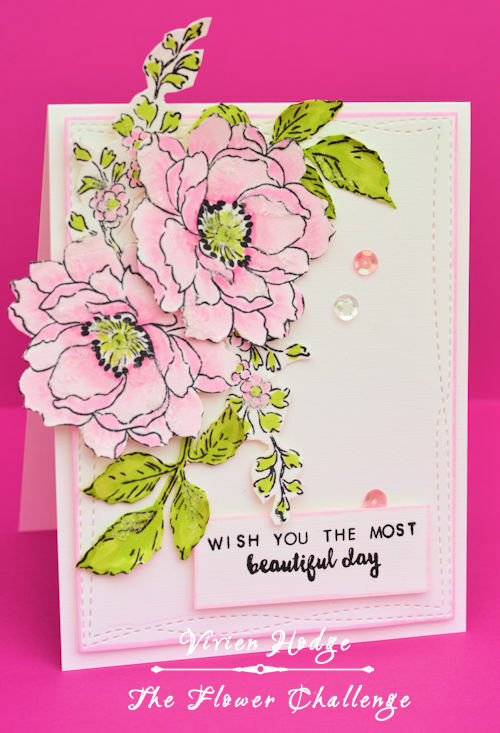 It's always a joy to have flowers on my cards, so you may be seeing me a lot! Hugs! For some reason blogger won't let me follow, it has done this of late to me...will keep trying..
A fun challenge! 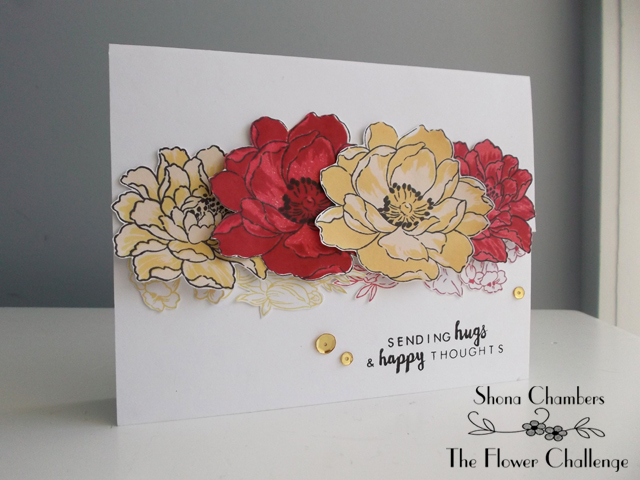 And wonderful inspiration cards! It's like walking through a beautiful garden! Love this challenge! and...can you delete my first image? I sumitted 2times.. Thank you! I love flowers and oh my so much beauty out there!! There are some beautiful cards here in the challenge you must be so happy to see them. done. Sent response as email Margaret.